On average, 4.5 people die in accidents in Taiwan every day. Often, however, modern road safety advertising only consists of charts or data which are detached from reality and lack a sense of solidarity and therefore do not reach many people. 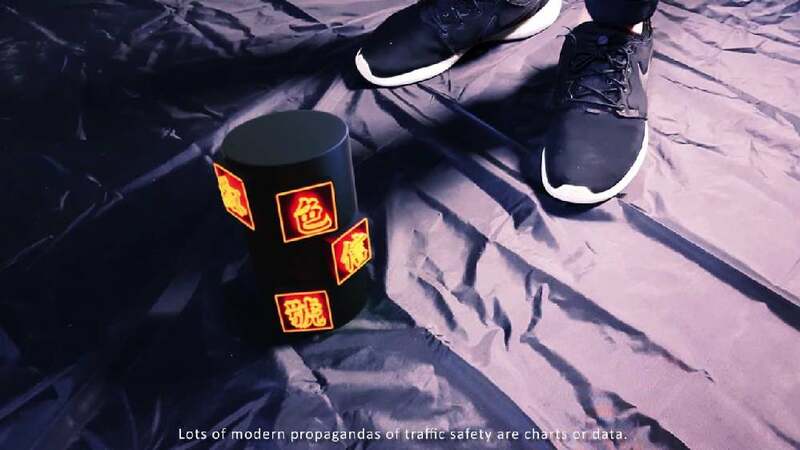 The interactive design Red Signal aims to raise people’s awareness. It simulates car accidents, depicted on real Taiwanese roads, and illustrates life after death, combining virtual reality, 360-degree video technology and hardware. The objective of the work is to make users become afraid of car accidents and take traffic safety more seriously.